Funny little mystical creatures with magical powers have been spotted in Downtown Ukiah. It’s said to be good luck and they bring good fortune to those who see them. They like to hide in the shelves and around the stores and shops in Ukiah’s downtown area. 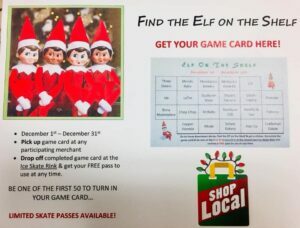 So keep your eyes open for these sneaky little Elves! Ends Dec. 01. 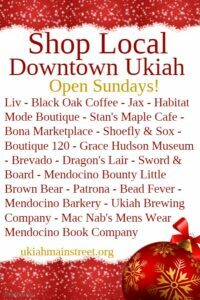 A huge thank you to our merchants who have chosen to participate; Three Sisters, Mendo Baby, Mendocino Barkery, Mendocino Book Co., LIV, Jax, Studio on State, Triple S Camera, Ukiah Trophy, Brevado, Bona Marketplace, Chop Chop, McNabs Mens Wear, Boutique 120, Shoefly & Sox, Patrona, Copper Thimble, Mode, Schat’s Bakery, Hair Co., and Craftsman Estate Jewelry & Pawn. The 2018 Comedy Alley Season continues on Saturday, February 17th when the Ukiah Main Street Program presents an All-Star Line-Up of critically acclaimed comedians. Comedy Alley is held at the Ukiah Valley Conference Center in Historic Downtown Ukiah. Doors open at 7:00 p.m. and the show starts at 8:00 p.m. Tickets are now On-Sale and can be purchased in advance for the discounted price of $18.00 at Mendocino Bounty or Dig Music. Tickets can also be purchased at the door on the evening of the event for $20.00. 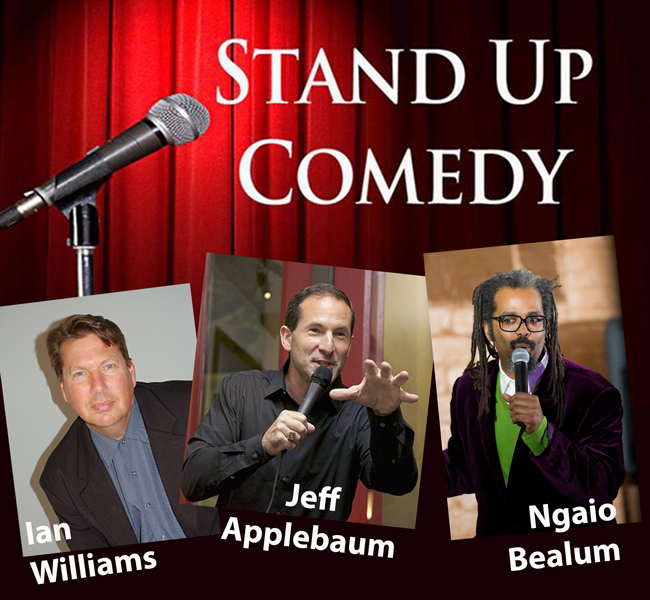 Comedians for February show are Jeff Applebaum, Ian Williams and Ngaio Bealum. 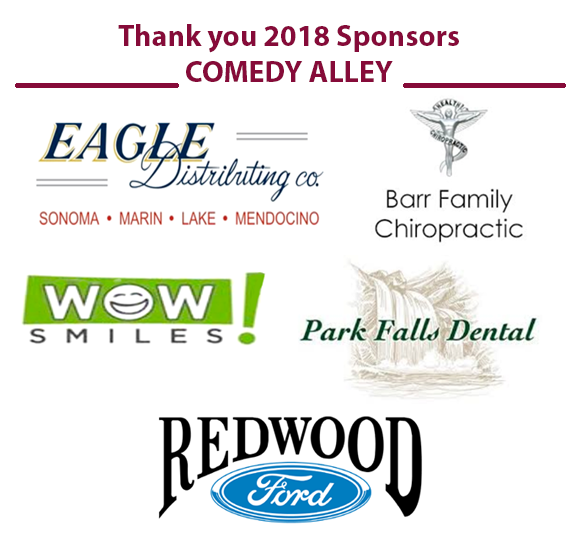 The 2018 Comedy Alley Season is made possible thanks to the generosity of our sponsors, which include Eagle Distributing, Barr Family Chiropractic, WOW Smiles and Park Falls Dental and Redwood Ford. 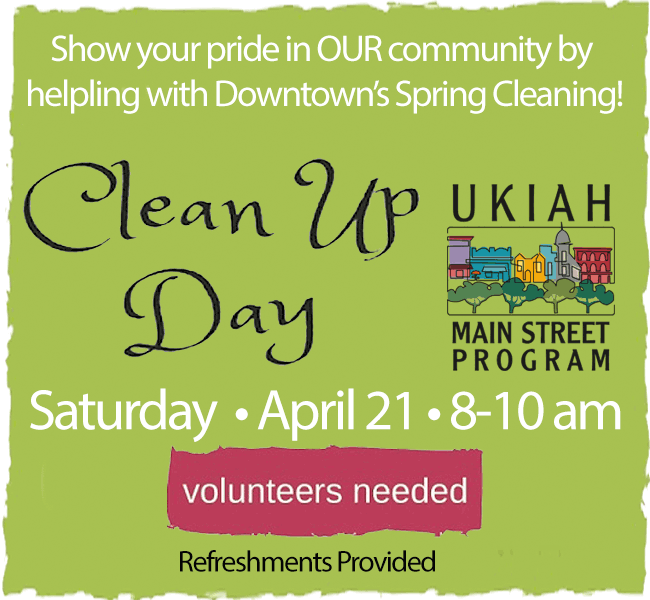 Additional support provided by Thurston Auto Plaza, Price Waterman, KWINE & MAX Radio, Ukiah’s Super 8 Hotel, DFM Home Audio Video, KOZT “The Coast”. 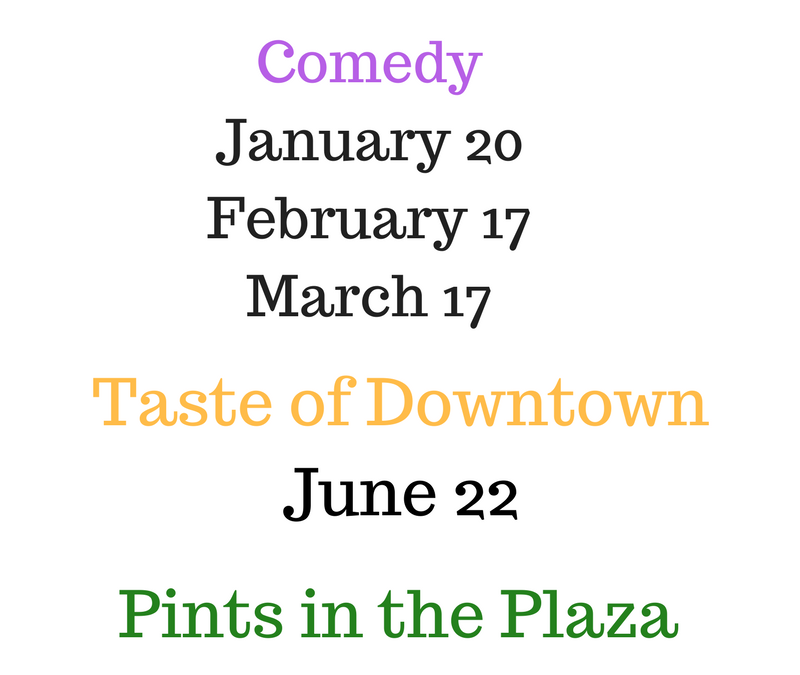 For more information about this and other upcoming Comedy Alley shows visit our website at www.downtownukiah.com or call the office of the Ukiah Main Street Program at (707) 462-6789. Ian Williams first stepped onto the comedy stage in Chicago in the mid ‘80s after graduating from college. By the end of the decade, he had appeared on MTV, A&E, Showtime and Star Search and moved to San Francisco. Williams took a break from full-time work at the end of the ‘90s and emceed events throughout the Bay Area. He also married and help raise 4 kids. Now, he has returned with a fresh perspective! Jeff made his national TV debut on CBS as a comedian on the “Late Late Show with Craig Ferguson.” He has also appeared on Comics Unleashed and Comedy.TV, Byron Allen’s nationally syndicated Entertainment Studios program, ABC-TV, America’s Got Talent on NBC and opened for and performed with comic legends Robert Klein, Mort Sahl, Richard Lewis, Robin Williams, Dana Carvey, Kevin Pollak, Elayne Boosler, Jimmy “JJ” Walker, and more. He’s also a frequent guest on KGO Radio, AM810 in San Francisco, CA Jeff was cast by Sandy Hackett, the late Buddy Hackett’s son, to play the principal role of Joey Bishop in the long-running musical tribute “The Rat Pack Is Back,” in San Francisco, Chicago, and Las Vegas. Jeff is also credited and appears in the blockbuster film “The Pursuit of Happyness,” starring Will Smith.